Last year, the number of motorcyclists killed on the roads increased by 37 percent in comparison to the year before, accident statistics released by the Danish Road Directorate (Vejdirektoratet) reveal. A closer examination of the figures shows that excessive speed was a factor in almost 8 out of 10 cases. In light of this, the directorate has recommended that motorcyclists should pay more attention to the speed limit and drivers should be more aware of motorcyclists. “Speed is clearly the determining factor when something unexpected happens in traffic and you suddenly have to make an emergency stop. Taking into consideration the restricted manoeuvrability and vulnerability of motorcyclists, careful use of the throttle regarding speed limits and general conditions is the most effective way of avoiding serious accidents,” said Jesper Sølund of the council for traffic safety. Spring and the warmer weather have enticed motorcyclists out onto the roads, and there have already been several serious accidents. During April, the council for traffic safety and 85 municipalities around the country will run a campaign against speeding on the roads entitled ‘Reduce speed – before it’s too late’. The campaign is aimed at both motorcyclists and car drivers. Previous research has shown that the fact that a motorcycle does not take up much space on the road and can easily be overlooked by drivers has been a factor in 41 motorcycle accidents. When, for example, a driver wants to turn, or drive out from a side-road, he or she should take care to look carefully before doing so to avoid the risk of driving into the path of a motorcycle. 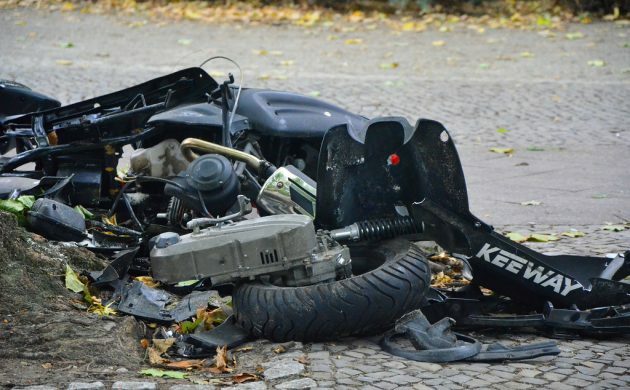 “A recurring feature of these accidents is that motorcyclists are overlooked, but also that they were going too fast,” said Mette Fynbo, the chairperson of the Accident Investigation Board Denmark (Havarikommissionen). The board also recommends that when buying a motorcycle, you should choose one with ABS braking, so you can brake more safely in critical situations. On top of that, motorcyclists should make themselves more visible in traffic by using reflector vests or helmets in bright colours.